This here is Themis! A BW2 OC! "Themis is new and young, well, in the grand scheme of things that is. Her role is still not yet defined in her infinite life and she knows it, but is not put off by it. Despite her age she is a good judge of character and in no way dumb, curious and naive yes, dumb no. The universe as a whole is new and fascinating to her and she's eager to explore it, yet she is aware of how dangerous it can be and knows to call for help when needed, help of those smaller than her as she feels she is of no use to the smaller lifeforms around her feeling that her size alienates her. Despite being usually friendly, bubbly and happy she has another side where she can be exceptionally vengeful and lashes out harshly, but it's not all bad as often this is only when she's really pushed, otherwise she can be a tricky little 'gremlin' and messes with people around her." Note: This goes by my timeline where bw2 has a different ending, one that wasn't so... 'artificial'. I made hint of it in the above personality but guess what she transforms into? Did you guess Gaia/Earth? YOU'RE RIGHT! 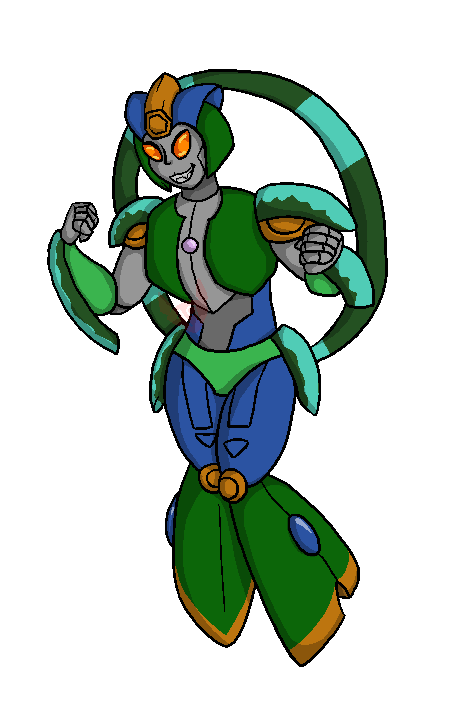 Those green and blue parts on her are chunks of the planet that've been 'solidified' in a tough field in order to protect the more fragile elements of it. 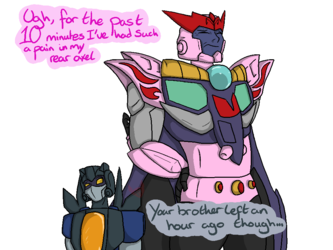 She only comes part-way up Unicron and Primus's chest. So she's as big as you'd expect from a planetformer but not as big as those two, her 'brothers' so to say. The Angolmois energy was in fact her energy and in reality she was leaking it out badly and becoming weaker and weaker as well as an even bigger target. She reached out across the galaxy and summoned someone to gather up the energy so it would not be lost and she could reclaim it. Who answered the call? Unaware of the true reason they found this planet and it's incredible energy, just knowing they needed to collect it? What a surprise to find that Earth itself had appointed him it's 'grand protector'. Maybe now Lio Convoy and the Maximals might actually listen to him when he says he wants peace rather than trying to kill him because it's not 'peace'*. - peace, but on their terms and their terms only and if you don't like their terms then Lio Convoy says you're evil and have to die.